I am a professor of philosophy at Berry College, where I have taught since 1998. My main philosophical interests focus on ancient philosophy, especially the Hellenistic period and late antiquity as well as the influences of Greek philosophy on the periphery of the Hellenic world. I also try to remain familiar with work in contemporary philosophical logic, especially vagueness and the sorites paradox. My other scholarly work is devoted to theology, especially medieval Armenian theology. 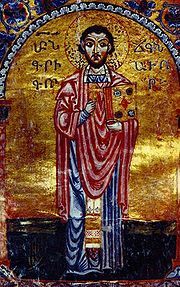 My current focus is on the theology and poetry of St. Gregory of Narek, the tenth-century Armenian monk and Doctor of the Church. At Berry I teach a broad range of courses in philosophy as well as a course in New Testament Greek.